New footage of an ancient city in the middle of the Pacific Ocean has sparked theories that the fictional island of Atlantis could be real. Technological advancements mean that archaeologists can fully explore the ruined city of Nan Madol and its structural marvels. The latest episode of the Science Channel’s What on Earth? reveals new aerial images of the site, which was built on top of a lagoon. 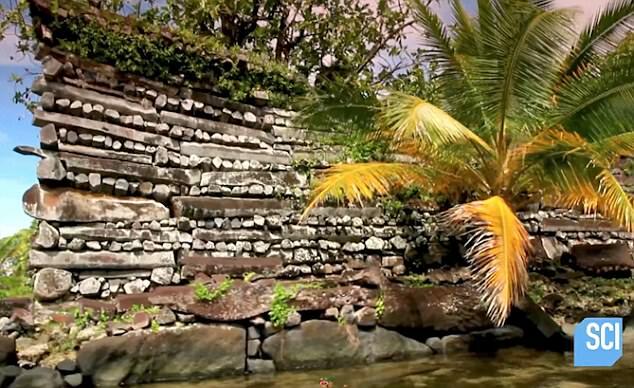 As the city is separated by tidal canals and is protected by the ocean by 12 sea walls, Nan Madol is often considered the ‘Venice of the Pacific’. 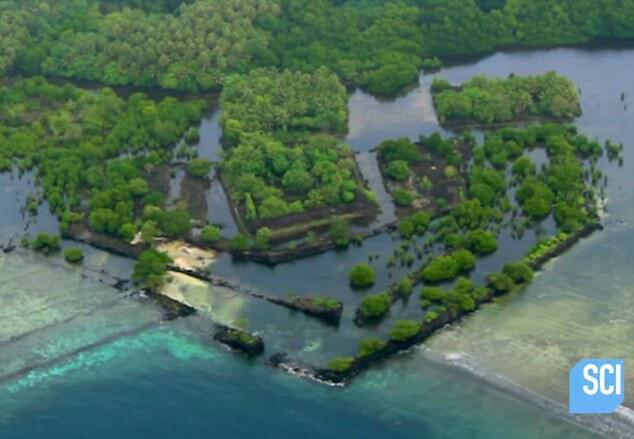 Mark McCoy, who led the team of researchers, said: ‘It now looks like Nan Madol represents a first in Pacific Island history. To me, in its prime Nan Madol was a capital. 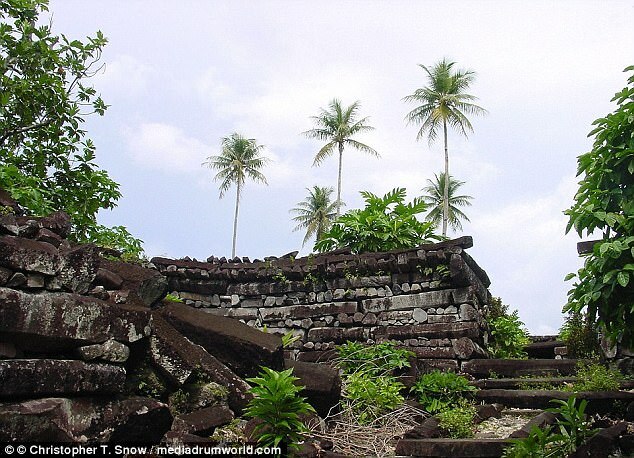 The Saudeleur kingdom spent several centuries creating the stone structures which still stand on 92 artificial islands in a lagoon off the coast of the island of Pohnpei. Nan Madol was the capital of the mysterious Saudeleur people until 1628 and is still considered an engineering marvel. 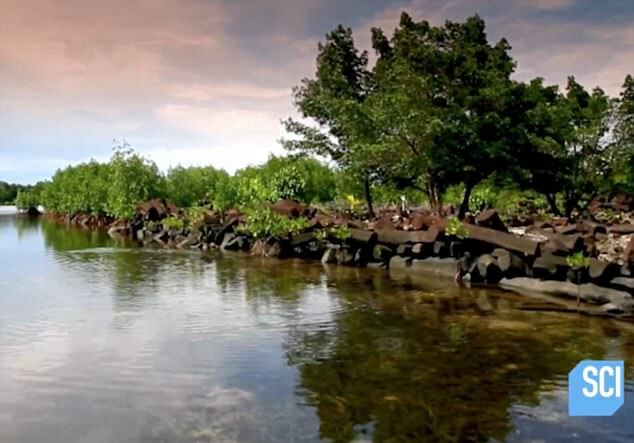 The name Nan Madol means ‘spaces between’ and is a reference to the tidal canals that crisscross the ruins. According to the Smithsonian, the buildings that make up Nan Madol incorporate an estimated 750,000 tonnes of black rock. The Saudeleurs must have needed to move 1,850 tonnes every year, despite a population of only 30,000 people and no access to pulleys and levers. The city, discovered in 1928, influenced author H P Lovecraft, who admitted it was the basis for his fictional city of R’lyeh, from his story The Call of Cthulhu. Previous Post:‘Aliens may be staring us in the face’ Says Royal Astronomer!